I was very sad this morning to find the news that Rhodri Morgan passed away yesterday at the age of 77. Rhodri Morgan was the first First Minister of Wales (a post he held from 2000 to 2009) and was also Assembly Member for my constituency until 2011. 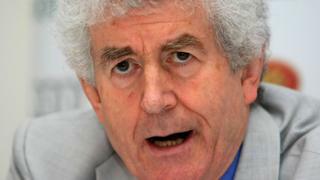 Rhodri Morgan was a hugely important figure in Welsh Labour Party. As a charismatic leader and capable administrator, he was extremely influential in the campaign for Welsh devolution and was held in very high regard across the political spectrum. I was reminded of Rhodri Morgan earlier this week as I realised that 14th May 2009 (i.e. eight years ago on Sunday) the date on which the Planck and Herschel spacecraft were launched. Was that really so long ago? Rhodri Morgan was still First Minister when he visited the School of Physics & Astronomy at Cardiff University on the day of the launch. He came across as very likeable, down-to-earth and funny. He’ll be missed by a great many people, but most of all by his wife Julie to whom I express my sincere condolences. Rest in peace, Rhodri Morgan (1939-2017). Well chaps and chapesses, I’m back to base after a very enjoyable break in foreign climes. I won’t bore you with interminable holiday snaps and the like, however. Suffice to say that, although it was good to get away from it all for a bit, it’s also nice to be back to Blighty. I’ve got quite a few things to catch up with on at home, at work, and on the blog, and I’ll try to return to fairly frequent postings now that I’m home. I thought I’d start with one of the big events that happened while I was away. Not the Royal Wedding, which I successfully avoided completely although I only narrowly escaped seeing some of it on an outdoor big screen (which I had assumed would be showing some form of sporting contest). Not the killing of Osama Bin Laden, either. Nor even the AV referendum, which went the way I expected. No, I think the first thing I should comment on is the result of the elections to the National Assembly for Wales which I followed, as best I could, by Twitter and on the net via my Blackberry while I was away. I wasn’t helped by the fact that North Wales decided not even to start counting votes until the morning after Polling Day, thus holding up the final results by half a day. Perhaps that’s because the count was done in Llandudnno, where people generally go to bed about 10pm? This was the first Senedd election I have had the opportunity to vote in, even though I had to do it postally. 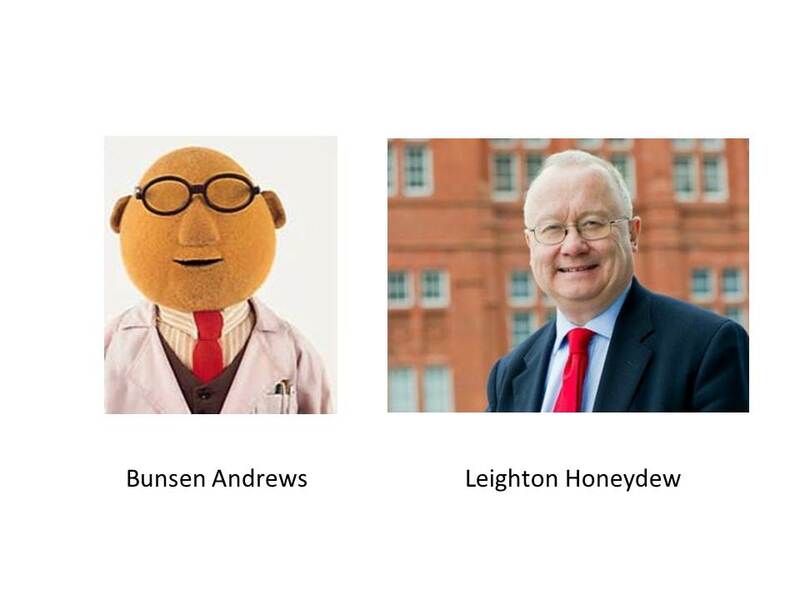 For the Welsh Assembly elections, each voter gets two votes. One is cast just as in a General Election, i.e. by picking one candidate for one’s own consituency – in my case Cardiff West. This is a safe Labour seat, previously held by former First Minister Rhodri Morgan, and it was no surprise to see the Labour candidate romp home with an increased majority. Of the 60 members of the Welsh Assembly, 40 are elected directly through constituency votes like this. Incidentally, one of the other candidates in this constituency was Neil McEvoy, standing for Plaid Cymru. 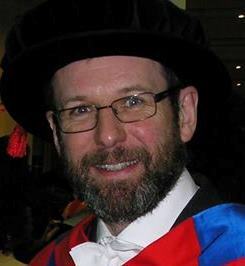 McEvoy is currently deputy leader of Cardiff City Council (which is run by a coalition of LibDems and Plaid Cymru councillors) and is an enthusiastic champion of the building of a major road into Bute Park for use by heavy lorries. It might have been better for the people of Cardiff – especially those who appreciate its wonderful green spaces – had Councillor McEvoy been elevated to the Senedd, because that would prevent him doing further damage on behalf of the Council. In the end, though, he trailed in third place in the Welsh Assembly poll so will presumably remain on the Council. Party list votes are totalled from each of the constituencies making up the region. These totals are then divided by the number of constituency seats each party has won – plus one. The party with the highest resulting total elects one Additional Member. Step 2 is repeated with the updated number of seats. ; again, the highest resulting total wins a seat. The process is then repeated until all Additional Members are elected. The aim of the system is to compensate parties which pile up lots votes in constituencies but fail to win many seats there. Under the d’Hondt system, they are much more likely to gain additional regional members. Conversely, parties which do well in constituency elections will do less well in the top-up seats. The idea is that the final outcome is much more proportional than it would be based on constituency votes alone. It’s not perfect, of course. Welsh Labour won precisely 50% of the seats in the Senedd, but with considerably less than 50% of the popular vote. This system probably sounds quite complicated – especially considering the difficulty many people seem to have had understanding the Alternative Vote, which is much simpler! – but it is actually fairly straightforward to operate. It does, however produce a few unexpected consequences. In the 2011 Welsh Assembly elections the constituency vote held up very well for the Conservative Party. This was probably helped by a relatively low turnout of just over 40%, because ensuring the core Tory voters turned out for the poll was probably all the campaign strategists needed to do. However, the unexpected success of the Conservatives in the constituency vote led to one notable casualty when the additional members were calculated. The Conservative leader in the Welsh Assembly, a regional member, Nick Bourne, found himself a victim of the party’s own success: he lost his seat, and the Tories now need a new leader. In summary, Welsh Labour did pretty well, returning 30 out of the total of 60 Assembly Members, up 4 on the last election. The Conservatives, somewhat surprisingly, were up 2 on 14. It was a bad night for Plaid Cymru, who lost four members to end on 11. The Liberal Democrats did poorly in the constituency vote, losing all but one of their seats, but picked up 4 regional members courtesy of d’Hondt. No other parties won any seats. What happens next? Labour could try to form a minority administration on their own, but it seems more likely that they will try to find a coalition partner. The previous administration involved a combination of Labour and Plaid Cymru, but the latter did so badly in these elections that they may decide that they don’t want to play anymore. That would make the LibDems favourites, although they might be considered a bit toxic after their poor showing elsewhere in the UK. We’ll just have to wait and see what emerges from the discussions (which have presumably already started). I’ll be following it all with particular interest because, amongst other things, there might be important implications for Higher Education in Wales if Labour go it alone or the LibDems replace Plaid in the governing coalition. So there we have it. Yesterday’s votes are all counted and we have the results. Here’s a quick Friday afternoon round-up before I go to the Pub. The biggest issue of the day involved Referendum on extending the law-making powers of the Welsh Assembly, in which the “yes” vote won by 517,132 votes to 297,380. This means that the Welsh Assembly will henceforth be able to make laws directly concerning those matters already devolved to it (including Health and Education). Contrary to popular myth, it does not broaden the Assembly’s power to cover new policy areas neither does it allow the Assembly to raise taxes. What it does is eliminate a bureaucratic bottleneck that previously required the Welsh Assembly to ask Parliament in Westminster every time it wanted to enact a law. The only really disappointing thing was that the turnout was dismally low – only about 35%. Those that didn’t vote, however, have even less justification for complaining about the outcome. Pontcanna has been a Plaid Cymru (Welsh nationalist party) stronghold for quite a while, so I was moderately surprised at the result. I was personally quite pleased that Plaid Cymru lost this seat because of their support for the over-development of Bute Park, but I’ve no idea whether that issue contributed significantly to the result. I voted for the Green Party, incidentally, and was glad at least to see them beat the Liberal Democrats into 5th place. The new Labour councillor Iona Gordon is however a prominent campaigner on environmental issues and I wish her well. The other major electoral result in the UK was a Parliamentary by-election in Barnsley, which saw the Liberal Democrats ending in a humiliating sixth place and losing their deposit. The only real question in my mind is why anyone would find that surprising given their track-record as part of the coalition government? 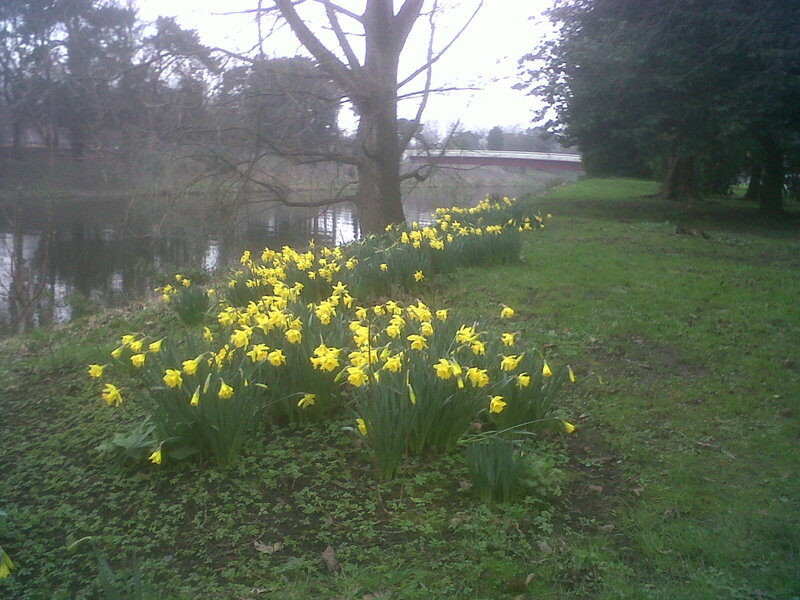 Still suffused with a peculiar form of vicarious national pride after last night’s rousing St David’s Day concert in Cardiff – of which I hope to do a review later today – I thought I’d put up a gratuitous picture of the daffodils in Bute Park because they’re one of the two official emblems of Wales. The other national emblem of Wales is the leek, but I couldn’t find any of them growing in Bute Park. It’s the wrong time of year anyway. More importantly, tomorrow (Thursday 3rd March) is the date of the Referendum on Welsh Assembly powers. The question is a fairly uninteresting one, actually, and is simply about whether the Welsh Assembly should be allowed to make laws itself – concerning those matters over which it has devolved responsibility – rather than the current system which requires oversight by the House of Commons. As a matter of fact I’ve got another vote to cast tomorrow, in a Council by-election. My ward is currently controlled by Plaid Cymru, but I will be voting for the Green Party in protest against the over-development of Bute Park. In the Referendum I’ve decided to vote Yes for Wales, a stance which all the major parties agree on in fact. I’m pretty confident the Yes vote will win, but am concerned by a sense of apathy over this, and the Welsh Assembly elections coming up in May. I think it’s very sad to compare the courage and determination shown by people across North Africa and in the Middle East protesting for democracy, with the attitude of so many here in a mature democracy who just can’t be bothered to exercise the rights that others struggled so hard to establish for us. If it matters so much to people in Egypt, Algeria and Libya to have the right to vote then it matters here too! Call me old-fashioned, but I think the right to vote is not only a privilege but also a duty. So whichever side of whatever argument you’re on, and wherever it is you’re voting, please get down to the polling station and put your cross where it counts! Last week I received an email from BBC Wales asking me to get in touch with one of their reporters. It turned out to be about a blog post I wrote some time ago concerning the recent decision by the Welsh Assembly Goverment to pay the fees of Welsh domiciled students wherever they go to study within the UK. The reporter had read my post and wanted to “pick my brains” for a story she was working on. I didn’t have time last week as I was too busy, but I found out yesterday that the BBC had indeed run a story. According to the BBC version, the policy of paying for Welsh students to go to English universities will cost the Welsh Assembly Government £51.7 million in 2015-6 although, according to their projections, this will be more than offset by an expected £83.5 million coming from English students electing to study in Wales (who will have to pay their own fees). The net cost of this policy will be about £97.6 million in the same year, allowing for the assumed net profit from English students, which will be met by cutting the core teaching grants to Welsh universities by about 35% – this is less than the cuts in England, but big cut nevertheless. But these calculations depend on several assumptions. One is what level of fees are charged. If all English universities charge £9K (which is possible) then the outflow of cash related to Welsh students going to England increases. If Welsh university fees are capped at £6K (which also seems likely) then the cash inflow decreases. In fact, in this scenario the differential between money in and money out completely disappears. On the other hand – and I’ve anecdotal evidence for this from talking to parents at UCAS admissions days – there seems also to be a feeling that the WAG’s commitment to students is serving to convince a number of English residents that the Welsh universities are in safer hands than those in England. So, although I strongly support the WAG’s reasons for wanting to help Welsh students as much as possible there remains considerable uncertainty about how things will pan out over the next few years. It could get very grim if reality departs significantly from the projections. One of the arguments put forward by Leighton Andrews (the Welsh Assembly Minister responsible for Universities in Wales) is that the policy of paying for Welsh students to go to England was in fact a commitment made the Labour-Plaid Cymru coalition that controls the Welsh Assembly. That’s fair enough, but of course it makes one wonder what will happen if the balance changes with the Welsh Assembly Elections due in May 2011. Only when we know the complexion of the new WAG will we learn whether it might revisit the policy. I’ve heard many arguments for and against, but it still strikes me as very strange to see the devolved administration spending so much of its hard-earned budget in England. That £50.7 million would go a long way if it were kept in Wales. All things considered, however, despite all the difficulties I think the situation is much more positive for universities in Wales than in England. Incidentally, another sensible idea being discussed by Leighton Andrews is that Welsh schools might be forced to ditch “soft” A-level subjects, such as (inevitably) Media Studies, in favour of “quality” ones (presumably including mathematics and physics). Perhaps he should do the same for Mickey Mouse degrees in Welsh universities too?